I have this really cool website for you to check out…it’s called Facebook. It’s not very popular so you probably haven’t heard about it. Ok, so I’m being a little cheeky. You would be hard pressed to find someone who doesn’t have a Facebook account. Of course they exist but they are few and far between. What does this mean to you as a business owner? It means that you need to leverage the power of Facebook by creating a Facebook page for your business. You’ll notice that this site even has one. 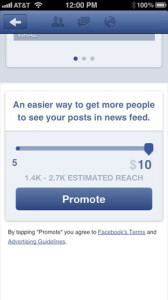 Until now, managing your Facebook page via your smartphone wasn’t the easiest thing to do. 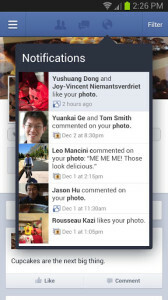 But now we have the Facebook Pages Manager application for Android and iOS devices. 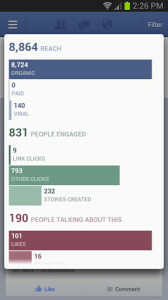 Facebook Pages Manager gives you the ability to manage all of your Facebook pages from your mobile device. Post new updates and photos and respond to comments as your Pages: Many times I have wanted to post to one of my pages when on the go but instead I had to wait until I got home to my computer. This is a basic feature that is an absolute must. View and reply to private messages sent to your Page: Developers sometimes send me private messages via the Facebook page. With Facebook Pages Manager I can now respond to those as soon as they send them. Get notifications about new activity on your Pages right away: Dealing with upset customers and interacting with potential customers is of vital importance. So being notified immediately by Facebook Pages Manager will help you stay on top of these interactions. View your latest Pages Insights: Facebook Pages Manager lets you view your total likes, weekly reach, how many people are talking about your page, and it shows a trend graph. In today’s business environment you would be crazy not to have a presence on Facebook for your business. Facebook Pages Manager can make managing that page easier.